Traversing the state from a remote Great Basin field station to an intercultural center in north Portland, State of Giving shows the many faces of public engagement in people like education activist Ron Herndon, volunteer historians Gwen Carr and Willie Richardson, and Wallowa County philanthropist and rancher Doug McDaniel. Their stories reveal that there are ways in which we all—regardless of wealth, location, age, or background—can give back to our communities. In addition to introducing Oregon’s key areas of need and demonstrating diverse pathways into civic engagement, the book provides extensive resources for prospective volunteers and donors. 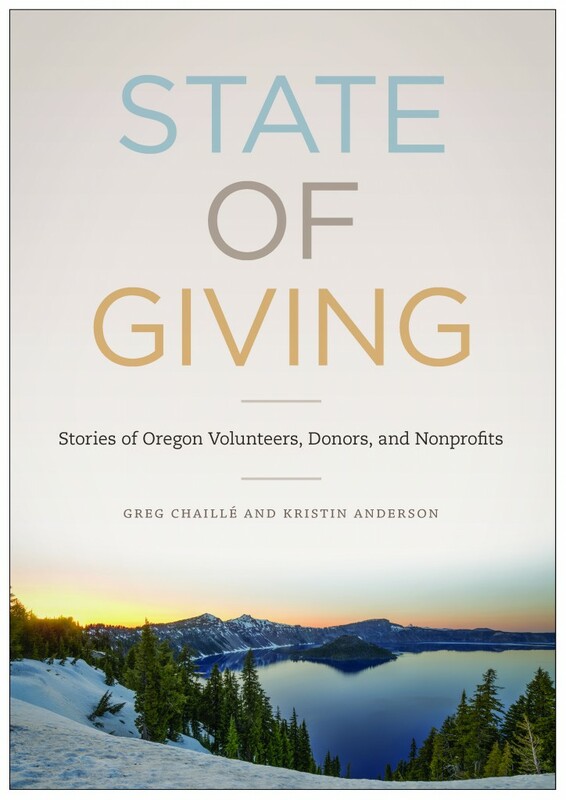 Rousing, accessible, and enlivened by photographs of its people and places, State of Giving is an essential reference for anyone interested in building a better Oregon, starting today. For Oregon and northern Californian residents, State of Giving is also available for FREE through the Ford Family Foundation’s Select Books Program! We at State of Giving are proud to partner with #OregoniansGive to celebrate the launch of Oregon’s second statewide day of giving, on November 29th, 2016. More information at #OregoniansGive on #GivingTuesday.